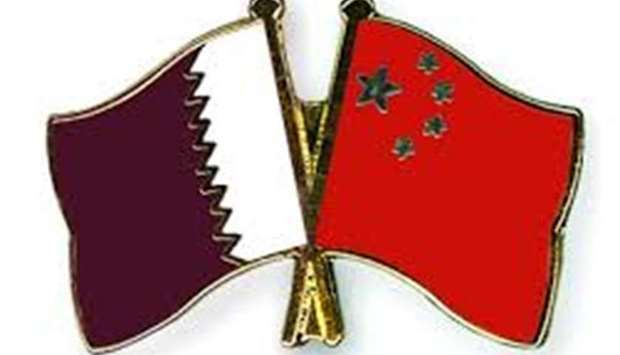 HE the Minister of State for Foreign Affairs Sultan bin Saad al-Muraikhi has hailed the development of Chinese-Arab relations in general and Qatari-Chinese relations in particular. In a speech at the eighth edition of the Ministerial Meeting of the Arab-China Co-operation Forum in Beijing, he said Qatar and China are celebrating the 30th anniversary of the establishment of diplomatic relations, noting that the two countries have strong and stable relations based on mutual respect. He recalled the visit of His Highness the Amir Sheikh Tamim bin Hamad al-Thani to Beijing in 2014, which contributed to boosting bilateral relations to the level of strategic relations. HE al-Muraikhi also referred to Qatar’s hosting of the seventh session of the Ministerial Meeting of the Arab-China Co-operation Forum back in 2016, saying it issued recommendations and a common vision reflected by the Doha Declaration and the Executive Programme 2016-2018. He said China is one of the main trading partners of Qatar with a trade volume of about $8bn, as well as importing about 40% of its total needs of liquefied natural gas from Qatar, while appreciating the contribution of the Chinese side in the infrastructure, energy and petrochemical sectors in Qatar. He said Qatar was one of the first countries to support the initiative of Chinese President Xi Jinping to build the Silk Road economic belt, considering it an initiative that promotes co-operation in trade, investment and infrastructure. He added that the Doha Declaration and Beijing Declaration stressed the importance of safeguarding the sovereignty and stability of states, non-interference in their internal affairs, enshrining the concept of justice and equity and promoting efforts to find political solutions to issues, crises, security and development. He stressed that Qatar values, in particular, the principle of non-interference in the internal affairs of other States and respecting their sovereignty as one of the most important tasks incumbent upon all to envisage a new era of peace and development in the region and in the world. He added that Qatar always calls for resolving all differences in light of these principles, stressing that dialogue and negotiation must be the basis for resolving differences. HE al-Muraikhi praised China’s position in support of the Palestinian issue and its honourable attitude towards opposing the transfer of foreign embassies to Al Quds and its support for the establishment of a fully sovereign Palestinian state on the 1967 borders with Al Quds as its capital.